NYC, 04/22/2019, 1:00PM. 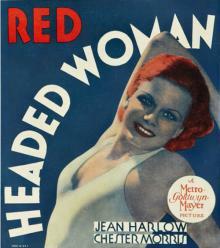 Red-Headed Woman (1932): Pre-Code Romantic Comedy. 79 min. Director: Jack Conway. Red-Headed Woman is based on a novel of the same name by Katharine Brush. Pre-Code Hollywood refers to the brief era in the American film industry between the widespread adoption of sound in pictures in 1929 and the enforcement of the Motion Picture Production Code censorship guidelines, popularly known as the "Hays Code", in mid-1934.